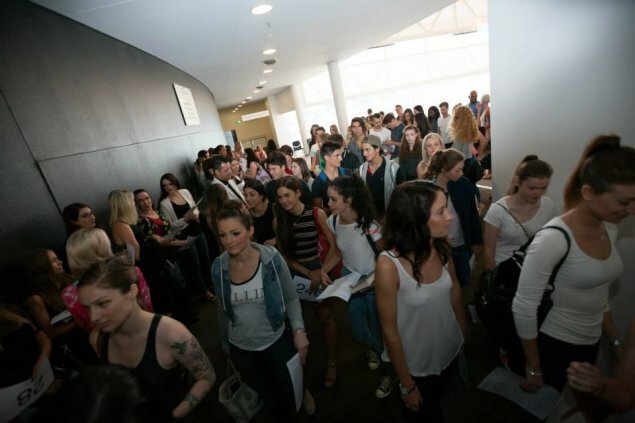 When the call went out for last year’s Fashfest model casting day, I told myself I was going to go. I was teaching myself to be a yes-woman at the time and had talked myself into trying something that I ordinarily wouldn’t do … and didn’t end up going. So this year when the call was posted on social media I was determined to make it, and to make sure I actually went, I talked a co-worker of mine into entering with me. After a little while of pleading with her to hold my hand and trying to convince her that it would be a great character building exercise, she finally agreed. 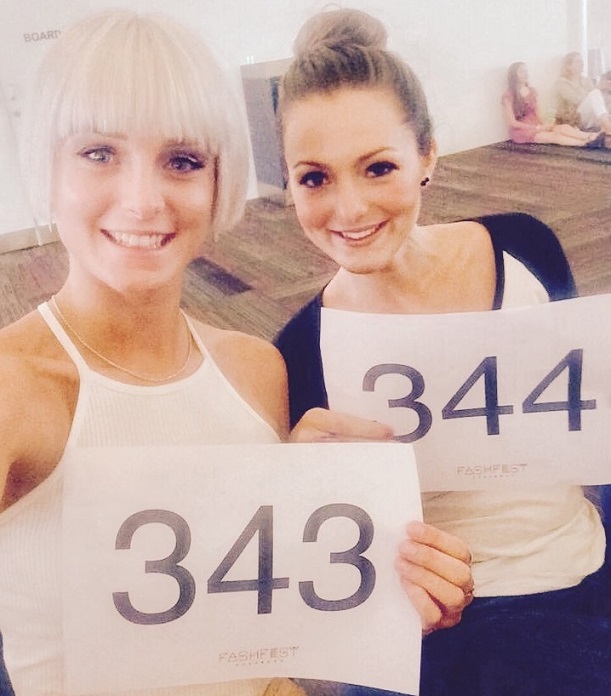 We took our headshots and registered to attend the 2015 Fashfest model casting. Sunday rolled around and I woke up to my alarm. I contemplated turning it off and going back to sleep. I mean, who was I kidding, auditioning to be a Fashfest model?! But my co-worker, Verity, was picking me up at 9.30am and I knew there was no escape. So, I rolled out of bed, threw my hair in a bun, pulled on some jeans and a tee, and packed a pair of high heels and some snacks (who said models don’t eat?!). As we walked up to the Convention Centre we noticed hundreds of beautiful girls also making their way in. I tried to convince Verity that we should just turn around and go for brunch instead, but she was a great hand holder and we quickly found ourselves in a line of 300 potential models. Not long after, Verity and I were separated, and that’s when I started to panic. Half of me wanted to leave and the other half wanted to strut like I’d never strut before. I was hoping my group would be first to walk the catwalk so that I could get it out of the way, but of course, life doesn’t work like that and my group was scheduled last. As I waited to be called, I made friends with Hannah, a stunning 21-year-old hip hop instructor (pictured left in top photo). Hannah and I watched the other models take their turn at impressing the judges and became more and more nervous as our time neared. We were lucky enough to be paired together for our catwalk, and had two minutes to practice syncing our walk, pose and turn. We knew we weren’t going to nail it but that we’d definitely have fun doing it. When it was our turn on the catwalk, we concentrated on keeping in sync and remembering to look up and make eye contact with the judges. We don’t know what to do with our facial expressions – were we meant to be smiling? Did the guy say to pose for three seconds, or for five? Am I counting, or is Hannah? Somehow we managed to turn around in sync and strut back down the catwalk – all without falling down. But it wasn’t over. Now it was time to do it again, on my own! I was so nervous I barely even remember my walk. I do remember getting to the end of the catwalk, attempting to smile as big as I could at the judges but actually ending up not being able to smile at all. Talk about stage fright! After getting off the catwalk as quickly and as gracefully as I could, I was relieved, excited and proud that I made myself experience a model casting, but whether I would ever do it again is another story. The casting call had said the judges were looking for men and women of all shapes and sizes, and the auditions certainly brought out potential models from all walks of life. It will be very interesting to see who of the 300 models makes it through, and which male and female are selected as the face of Fashfest 2015. Everyone was auditioning for different reasons. I auditioned for myself because it was a bucket list thing. I’m really glad I went and if I’m not selected to be a model then I know that the competition was rigged … jokes! If I’m not selected, I will be super happy with the experience, the character building and the new friend I made! Cross your fingers really tight for me and watch this space!